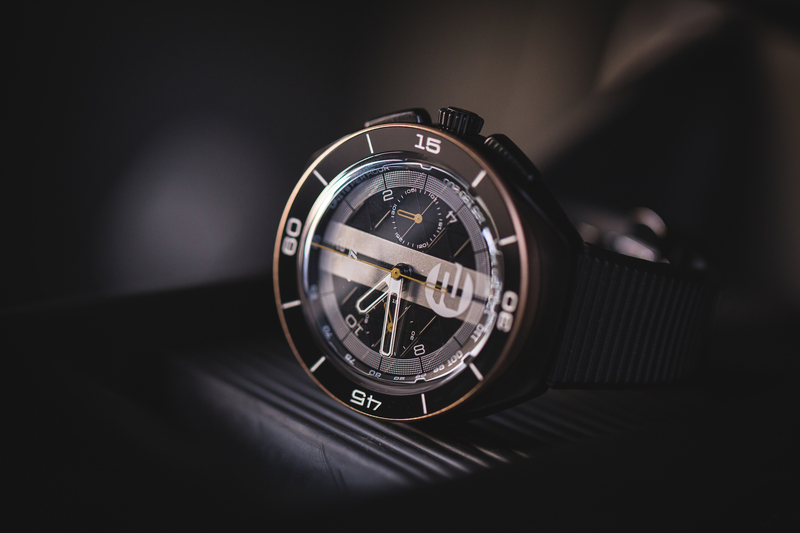 Ford collaborated with automotive accessory maker Autodromo to create a chronograph wristwatch exclusive to owners of the new Ford GT, with pre-orders opening this summer. The timepiece will be highly customizable to suit the buyer’s tastes, and even those without the pre-requisite car can spec out a virtual model using this web site. The first thing that sets this watch apart from the regular fare is that it can be made to match the color pattern of each customer’s car. 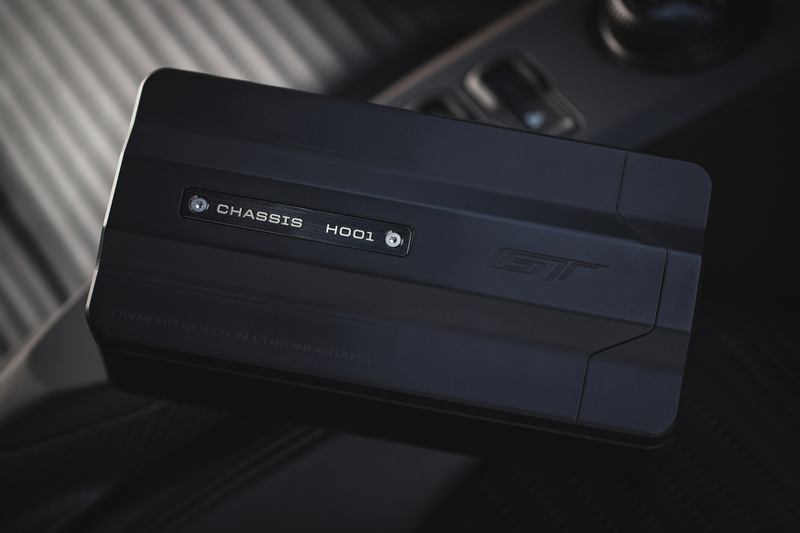 It will also receive an engraving of its matching Ford GT chassis number, ensuring that no two pieces are exactly alike. 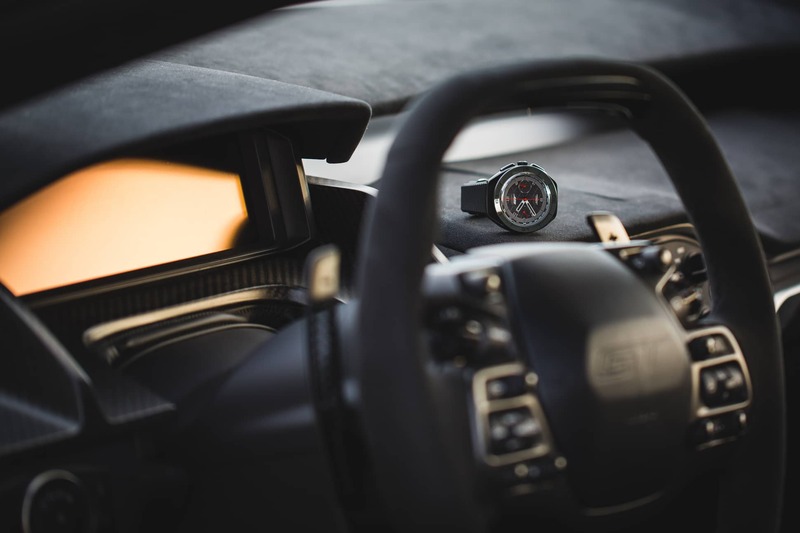 The watch takes inspiration from design elements that can be found throughout the GT, with a crown that represents the car’s scroll wheel interface and pushers that resemble carbon fiber paddle shifters. The wristwatch’s dial is composed of three layers, a triangular lattice pattern inspired by the GT’s aluminum chassis, a sapphire pane in which the dial’s numbers are embedded, and the timepiece’s hands above that. 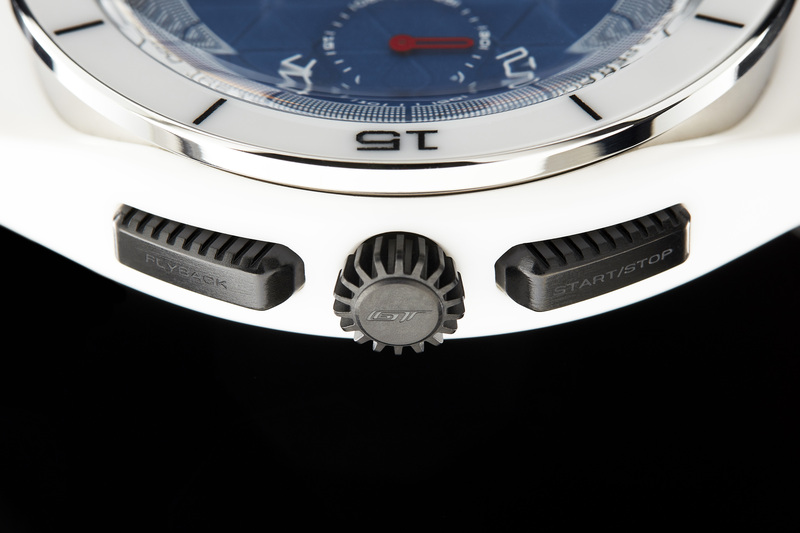 Constructing the watch in layers gives it a unique 3D effect that’s meant to replicate the Ford’s display. Underneath, the GT chronograph is run by a self-winding Swiss LaJoux-Perret 7773 flyback movement inside of a 43-millimeter wide ceramic casing. All examples of the model will be assembled at Autodromo’s workshop in Dobbs Ferry, New York. 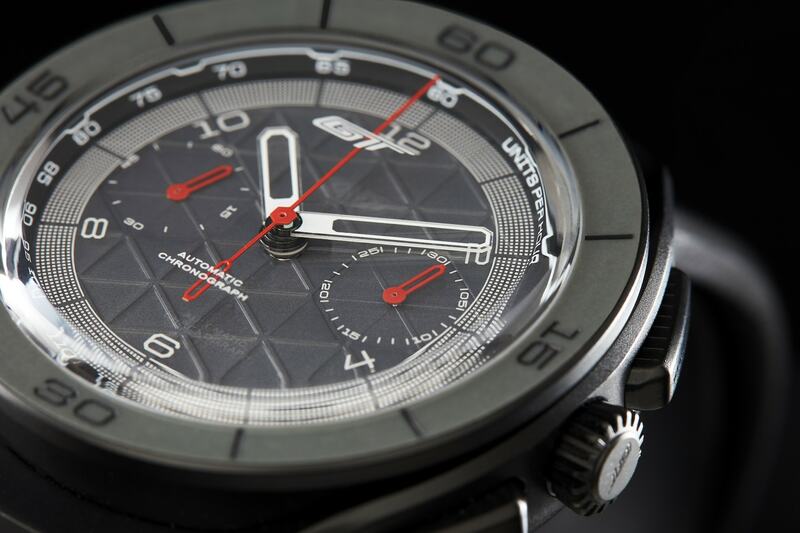 The watch will come in its own CNC milled aluminum box, which also touts the vehicle’s chassis number. Current and future Ford GT owners should know that the chronograph’s price starts at $11,500, which is a fairly small sum to pay when you’ve already ordered a $500,000 barely-tamed race car for the road. 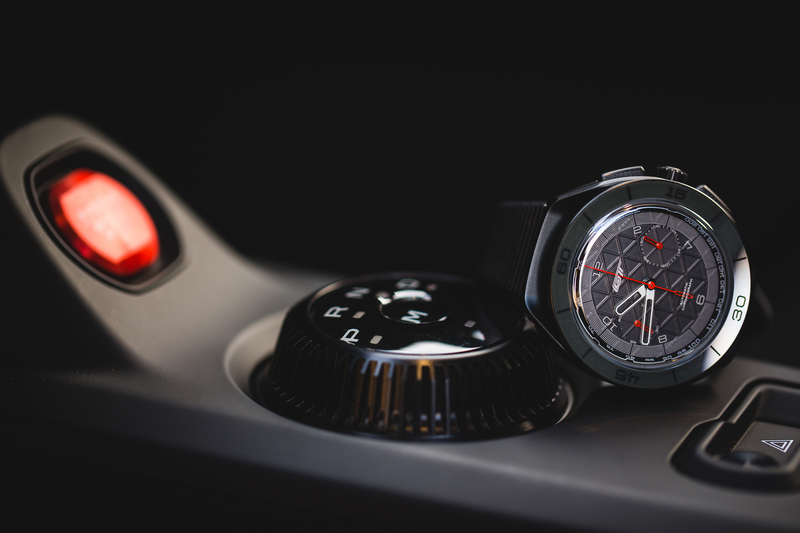 There are currently no comments on Ford & Autodromo Collaborate on a Watch for Ford GT Owners. Perhaps you would like to add one of your own?